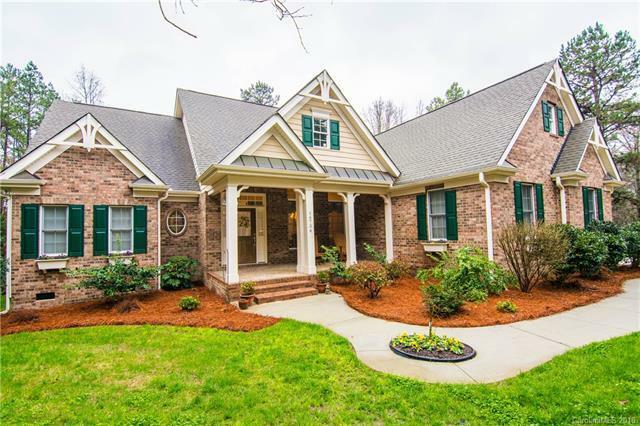 14734 Hus Mcginnis Road, Huntersville, NC 28078 (#3369460) :: Robert Greene Real Estate, Inc.
Split Bedroom Craftsman style Ranch Home on almost 11 acres. The sloping landscape of the acreage, and Duke Power Easement in the back half of the lot, creates a private buffer for your peace and quiet. Most land around the home has been left natural and wooded so lawn care is a breeze and the Duke Power Easement is not easily seen, even in winter. The 3 bedroom, 2 1/2 bath home has great design features; high 12 foot ceilings in some rooms, Vaulted in others and Tray Ceilings in the Master and Breakfast area. Please notice the many upgrades in the home such as the Farm Sink, Kitchen Island, rounded drywall corners, Crown Molding, Built In Bookcases, and 2 wood burning Fireplaces! This home is perfect for the buyer who wants space, both inside and outside the home, no HOA, and a country setting while being close to 485, shopping and town. A short 5 mile Drive from the Prosperity Road exit on 485. Very private and with almost 11 acres of sloping land to maintain that peace and quiet.